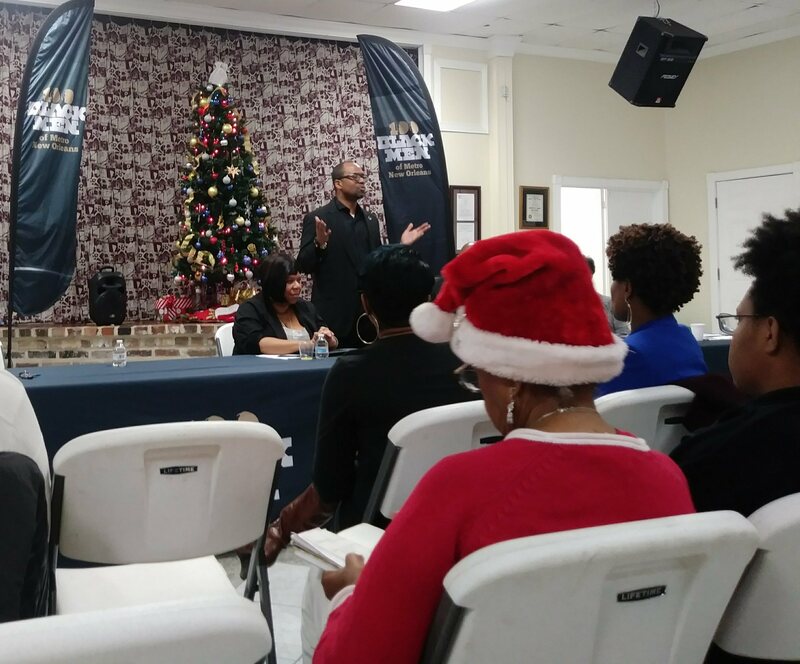 On Saturday, Dec. 15, the 100 Black Men of Metro New Orleans held a breakfast and panel event on school choice and school closures in the city. 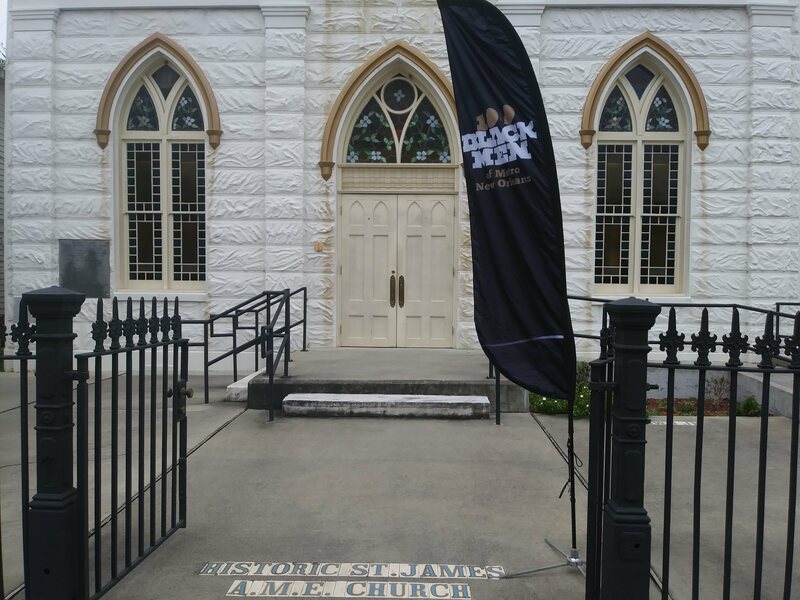 The event took place in the historic St. James Church, which will celebrate its 175 anniversary this year. Oliver Thomas moderated the discussion among panelists of Orleans Parish School Board superintendent Henderson Lewis, President of Louisiana Federation for Children Ann Davis Duplessis, and parent advocate Ashanna Bigard. The first question Thomas asked was when people can expect all New Orleans schools to at least be ranked “C” letter grade schools. Henderson explained that he can’t give an exact date, because right now the standards are changing over the next six years as dictated by the Louisiana Department of Education. As of this year, the Louisiana Department of Education released a growth rate report for every school, in addition to schools’ performance scores. Students growth rates are expected to grow one grade level at a time unless they are behind at their school. Then a particular student can grow at multiple grades in one year. “That’s why you see some of our schools have a growth rate of ‘A’ and a performance level of ‘C,’” Lewis said. Duplessis of the Louisiana Federation for Children said that as long as the effort and policy for change is continued to pushed as is, we can see the year 2025 as a date for having all at least “C” level schools. Parent advocate Bigard, who has a seven year old and 12 year old in the OPSB, said that she does not see “C” level schools being available to all until we stop seeing schools unnecessarily close down. Bigard said that we have a city with some of the most traumatized children, but our school system is one of non-stability that won’t change until parents, the community, and school board members step up. Lewis agreed with a point of Bigard’s in the discussion that the city is not adequately equitable for students with disabilities. She explained how Cypress Academy merging with Foundation Prep will cause trouble due to the unequal proportion of disabled students and how that will affect their performance score. “When you have children with disabilities with your school, especially children with learning challenges, it breaks down your letter grade,” Bigard said. Lewis said clear communication and transparency must be maintained from the OPSB with parents because in previous years, it was too late when parents found out as late as Dec. in a school year that their school was closing. This year, Lewis used insight on test scores to warn parents during the enrollment period which schools are in danger of not being up for renewal. After Lewis explained the intervention process for failing schools, Bigard argued that from the parents’ perspective there is no process. Duplessis stated that she keeps hearing the same argument for closing schools or supporting the ones that have to be saved from poor score performance. She said that is why she supports parents having the most choice possible in picking schools that their children may attend for an excellent education. Thomas concluded the panel meeting by noting the growing tourist industry of New Orleans, the cities available jobs, and the value of children contributing in the future. The five Orleans Parish Schools to close this school year include: Edgar P. Harney Spirit of Excellence Academy, Cypress Academy, McDonogh No. 32 Charter School, Medard H. Nelson Charter School, and William J. Fischer Academy. Jamal Melancon is a New Orleans native and Mass Communication student at Loyola University. His writing has been featured in publications like The Gentilly Messenger and The Gambit. Outside of writing, Jamal has worked at a comic book store and a nonprofit for supporting youth esports.